Before observing meticulously the statistics, let's consider a study carried out in this aspect by the paediatrician staff at the Juan Canalejo hospital, of La Coruña, Spain. The study consisted, in registering all the details of the children attended in urgencies of dog bites. The first conclusion according to this study was that the dog breeds that have been labelled as "dangerous" were not the dogs that produced the attacks. The German shepherd is the one at the head of the list, way above the second. Still the German shepherd is the most protected breed and defended by those that created the "potentially dangerous breed list" to confuse the public opinion and to assure the predominance in popularity and sales of the German shepherd. Predominance that had lately been lost, in favour precisely, of all the breeds catalogued as "dangerous". How convenient! The most important conclusion of this study is that more likely are the owners of the dog and not the dog the ones that need to be educated. - 9 produced by German Shepherds. - 1 produced by a German crossing of Shepherd. - 1 produced by a Rottweiler. - 1 produced by a Pointer. Considering these statistics, how could one explain that the French Government has banned exclusively the breeding of the American Pit Bull Terrier in all its national territory, when the A. P. B. T. has not provoked any of the casualties, not even a dog of this breed has produced one registered physical aggression. If according to these statistics the French Government wanted to forbid the breeding of some dog, would have to be without any type of doubt the German shepherd. This shows how unfair the ones that advise the government officials in the canine subject are. More focused in defending their own interests, than in any other thing. Don't get this brong, if the French Government tries to pull out a BSL against the German shepherd, our International Federation will be the first one denouncing it. In only one year, concretely in 1985, five persons lost his life in that country in dog attack related incidents. All five deaths were produced for German shepherds. Hessen is a town on the northwest of Germany where the local police has accounted dog attacks statistics nationwide. These statistics were compiled from January 1 of 1995 to the 31 of December of 1997. Three complete years. These statistics reflect that in these three years just one death was produced. Yes, you guessed it. By a German shepherd. Also 16 serious attacks were produced by German shepherd crossings, 10 serious attacks by purebred German shepherds, 3 serious attacks by Rottweiler, and one serious attack by: Golden Retriever, Siberian husky, Cocker, Great Dane, American Staffordshire terrier, etc. 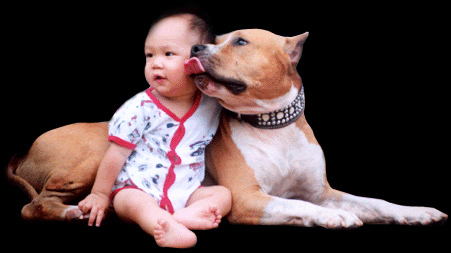 The American Pit Bull Terrier has not been implicated in one single attack. Please note that at that time thousands of A. P. B. T. where registered in Germany. However in Germany, the American Pit Bull Terrier and other 27 dog breeds has been forbidden. But not the German shepherd, the breed implicated in more human attacks and killings. Instead of that the German shepherd is not only not banned but gets the benefit of those nonsense BSL as fair competence in the market, of 28 dog breeds is automatically eliminated. After observing the case of Germany, everything that the International Federation has been alleging shows obvious. As a curious note and to unmask the excess of impartiality and ignorance, note that the German list of "potentially dangerous breeds" does not list the Rottweiler or the Doberman either, and these breeds are always in the lists of "dangerous" dogs in other countries. Is it a coincidence that the only place where they are not considered "potentially dangerous breeds" is in their home land? Or is it that the massive exports of these German breeds (German shepherd, Rottweiler and Doberman) to supply armed forces police corps and private security companies worldwide means big bucks? And why are these breeds so successful in this task if not for their forthcoming attitude toward human aggression and great man-stopping power? I've never seen a task force A.P.B.T. but to many in rescue teams. Doesn't that say something to you? Is this all about a canine holocaust for economical reasons? - 1 death provoked by a 16 pounder Cocker. - 1 death provoked by a Doberman. - 2 deaths provoked by Presa Canarios. (At first moment the T.V. said that they were Pit Bull). - 1 death provoked by Argentinean Dogo. (At first moment the T.V. said that it was a Pit Bull). - 1 death provoked by Rottweiler. - 1 death provoked by a Staffordshire bull terrier. (At first moment the T.V. said that it was a Pit Bull). - 1 death provoked by a Siberian husky. - 1 death provoked by 2 crossbreed of Spanish Mastiff. (At first moment the T.V. said that they were Rottweiler). - 1 death provoked by one Majorcan Shepherd and one mixed dog. (At first moment the T.V. said that the Majorcan Shepherd was a Pit Bull and the racially mixed dog that was a Rottweiler). - 1 death caused by a Great Japanese Dog. Not long time ago, this breed was denominated American Akita. Accidents caused by the dogs without control of many irresponsible owners. In order to help us to understand that 99´ 5% of the calls attacks of American Pit Bull Terrier, is cases of erroneous identification or rather false, to say that one police of Los Angeles (the USA), called Al Stone, that in addition was lawyer, he realise an investigation study to demonstrate what has been said. Al Stone created an album with photos of all the common breed dogs, including also to the American Pit Bull Terrier. The cases that investigated of those assumptions attacks of American Pit Bull Terrier, no of the attacked people indicated the photography of the American Pit Bull Terrier accusing it, but they indicated other breeds. Al Stone discovered that people were very anxious in blaming to the American Pit Bull Terrier, when in fact they were not sure what kind of breed was. After all, these are the dogs of which they hear all the negative things no? 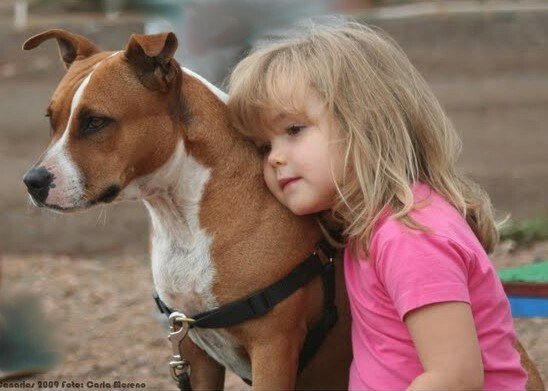 So indeed, the majority of people has been programmed to proclaim to shouts the culpability of the American Pit Bull Terrier, because it is what sells. Existen datos de los sacrificios injustificados hacia American Pit Bull Terrier, de más de 20.000 por año, realizados por PETA y por el Gobierno de USA que lo permite, dada la gran campaña en negativo que se esta realizando en algunos Estados de este país en contra de la noble raza American Pit Bull Terrier sin justificación alguna. Miembros de PETA, una supuesta “asociación protectora de animales”, secuestran las mascotas en sus propias casas de cientos de indefensas familias para darlas sacrificio al instante. Respaldados por una orden Judicial, la cual en la mayoría de los casos, se generó por la simple denuncia de un vecino al que no le gustaban los perros, alegando que se trataba de un PIT BULL peligroso. Este tipo de denuncia sin ningún fundamento que la sustente, es más que suficiente en USA para que te quiten a tu perro y lo den sacrificio inmediatamente, sin poder hacer nada para impedirlo. PETA y el Gobierno de USA, después presumen de amar y de hacer valer los derechos de los animales, pero desde esta pagina Web colocamos a cada cual en el lugar que le corresponde. Warning: The following videos are cold, hard, and heartless. If you are sensitive, and/or under 18 years old, please avoid to see them. Cientos de ataques de perros de otras razas e incluso de perros mestizos que se producen en este país, los periodistas al no identificar claramente al animal que produjo el ataque por tratarse de perros cruzados o simplemente por tratarse de alguna raza desconocida para ellos, catalogan automáticamente a todo este tipo de perros como si de American Pit Bull Terrier puros se trataran. Además, en bastantes ocasiones aun conociendo los periodistas que el perro atacante no se trataba de un American Pit Bull Terrier, para conseguir que su noticia se venda excelentemente generando mayor nivel de audiencia, informan de la noticia en sí misma y en titulares, como que la raza del perro que atacó se trataba de un American PIT BULL Terrier, para de esta manera, generar el morbo y sensacionalismo necesario para vender mucho mejor su noticia, pese a engañar en la raza del animal. Es por esta razón y no por otra, por lo que el American Pit Bull Terrier posee tan mala fama e imagen y por lo que esta tan perseguida por las Leyes de algunos países. Curiosamente el organismo de reconocimiento Internacional ubicado también en USA, llamado American Temperament Test Society (Sociedad Americana de Exámenes de Temperamento Canino con relación a las personas), fundado y presidido por Don Alfons Ertel en 1977, afirma que después de haber examinado a cientos de razas para comprobar la actitud y sociabilidad de las mismas en su relación con las personas, la raza canina American PIT BULL Terrier se encuentra entre las cinco razas mejor calificadas y cualificadas para relacionarse con las personas y niños pese a la creencia popular. Cabe resaltar que datos estadísticos Americanos señalan, que más de 2.000 niños son muertos por sus propios padres por malos tratos anualmente. Para desviar la atención de este tipo de noticias, lo pagan con los indefensos perros. Dogs have always been our best friends. They give up their wild nature and choose to be whit us "to serve and protect" and this friendship is a well proved one. Its origins go back to an ancient time in Europe between the Palaeolithic and Neolithic some, 15.000 years ago. They have always been there for us, their history is our history. We can't just turn our back on then now. But dogs need to be schooled and disciplined. The one that pets his dog loves himself, the one that teaches his dog love his dog. Other way you are going to play by his rules and he will be the one in control, or must we say out of control.
. The dog is not allowed in the house.
. Okay, the dog is allowed in the house, but only in certain rooms.
. The dog is allowed in all rooms, but has to stay off the furniture.
. The dog can get on the old furniture only.
. Okay, the dog is allowed on the bed, but only by invitation.
. The dog can sleep on the bed whenever he wants, but not under the covers.
. The dog can sleep under the covers every night.
. Humans must ask permission to sleep under the covers with the dog. The German shepherd is the most indulged breed of all. Being the one involved in more cases of dog aggressions and killings is not listed as dangerous and none BSL affect him. How is that possible? Daremos a conocer por encima de lo injusto, ineficaz y absurdo de esta Ley DDA de Gran Bretaña (BSL de Gran Bretaña), desde que fue creada en 1991 y que fue el patrón a seguir por varios países, los cuales, llegaron a cometer la misma atrocidad a los perros y sus aficionados de determinadas razas en sus correspondientes países. Desde IADCRO el dar a conocer por encima lo injusto de la Ley DDA, conseguiremos hacer entender de alguna manera a las personas, la gran injusticia que han vivido durante muchos años los perros de las razas que catalogaron como “Potencialmente Peligrosas”, junto con sus propietarios responsables, un completo infierno. Como apuntes curiosos para entender esta injusta Ley DDA y otras similares ubicadas en otros países, decir que desde que se creo en Gran Bretaña la Ley DDA en 1991 para reducir drásticamente los ataques de perros a personas, además de no haberlo conseguido, decir que se ha triplicado el numero de ataques a personas producidas por perro. Esto demuestra la ineficacia de este tipo de Leyes, que catalogan a los perros de una serie de razas como “Potencialmente Peligrosas” y se olvidan de fomentar la responsabilidad del propietario. Decir también, que la Policía y los Jueces de Gran Bretaña durante todo el tiempo que ha estado en vigor la Ley DDA, consideraban que una persona podía criar realmente un American Pit Bull Terrier accidentalmente. Decían que si usted cruza un bóxer con un Labrador o un Labrador con un Mastín, usted crea un perro que lo catalogan y denominan American Pit Bull Terrier. Lo que nos faltaba por escuchar. “La ley DDA Británica dice, que si lo que usted cría parece un American Pit Bull Terrier y la policía afirma ser un American Pit Bull Terrier, entonces es un American Pit Bull Terrier, y le incumbe a usted para probar que no lo es.” Increible. 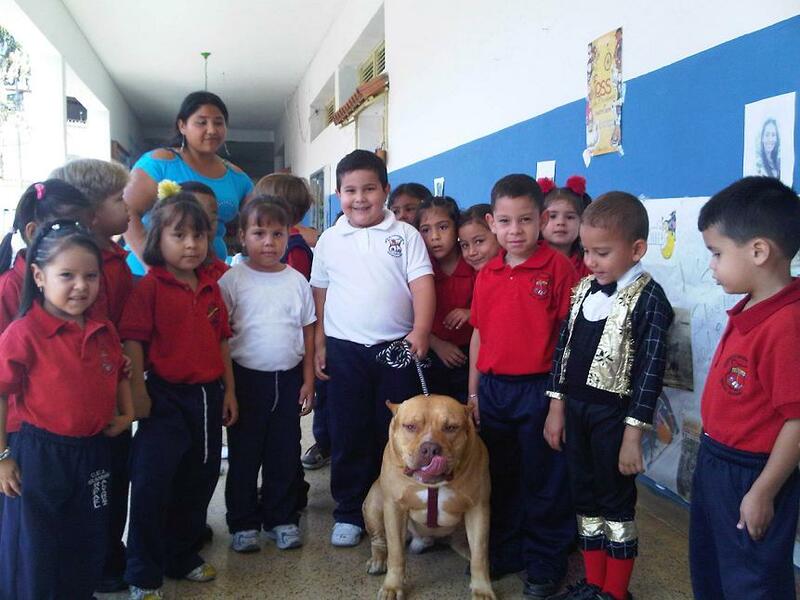 Después de leer semejantes disparates, al menos nos sirve para comprender el porque la raza canina American Pit Bull Terrier es la raza con peor fama y mala imagen, ya que la mayoría de los ataques que ocurren de perros a personas que nada tienen de American Pit Bull Terrier, la Policía y los medios de comunicación catalogaran al perro agresor como un verdadero American Pit Bull Terrier y como tal reflejará en algunas estadísticas y medios de comunicación de Gran Bretaña y USA. Gracias a Dios, hoy en día esta injusticia se esta esclareciendo a favor de los derechos de los ejemplares de las razas criminalizadas y sus propietarios responsables. Creo que Internet al permitir informar libremente y sin obstáculos a cerca de este tipo de injusticias, a todos aquellos que deseen informarse acorde la realidad y no lo que les quieran contar los que controlan el monopolio, tiene mucho que ver con las modificaciones y anulaciones de Leyes injustas como es el caso de Holanda, Italia, Bermudas y ahora Gran Bretaña. En este caso bienvenido seas Internet. En Inglaterra, concretamente en Londres, hace cinco años un bebé de tres meses de edad murió por las dentelladas que le produjo un Caniche de tres kilos de peso, cuando se adentró en su cuna y lo mató. Inglaterra fue el país pionero en prohibir el A.P.B.T y otras cuatro razas más en 1991. El Gobierno británico alegó que prohibiendo estas razas se acabaría con los ataques de perros a personas. Nada más lejos de la realidad, pues los ataques aumentaron considerablemente porque el problema no lo solucionaron y el problema son los PROPIETARIOS IRRESPONSABLES y no las razas. Hoy día el Gobierno británico ha manifestado públicamente que la medida de las prohibiciones de razas no ha resuelto en absoluto el problema de los ataques de perros a personas. ¿Por qué no aprender de los fallos cometidos por otros países en este aspecto?. Nadie tendría que tener la posibilidad de jugar a ser Dios, para decidir que razas caninas tienen que vivir o cuales tienen que desaparecer o morir. El ejemplo de las muertes de personas producidas por perros de pequeño tamaño, simplemente los hemos puesto para abrir los ojos y que comprendan esta situación los ciudadanos con "mentalidad de titulares" y que así entiendan que cualquier perro sea de la raza o el tamaño que sea, en manos de un PROPIETARIO IRRESPONSABLE puede catalogarse como potencialmente peligroso, y así empiecen a tener sentido crítico y objetivo cuando escuchen o lean las noticias. Es importante tener sentido crítico y ser objetivos cuando escuchemos hablar negativamente de los American Pit Bull Terrier o de cualquier otra raza canina, pues hay que comprender que los perros, sean de la raza que sean, SIEMPRE han sido los mejores amigos del hombre desde los comienzos de la humanidad, y el hombre no debería dar la espalda a su mejor amigo que incluso, se dejaría la vida por su propietario.